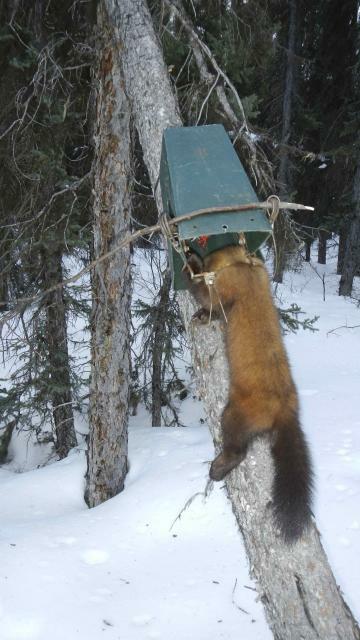 Marten's are at historic highs. 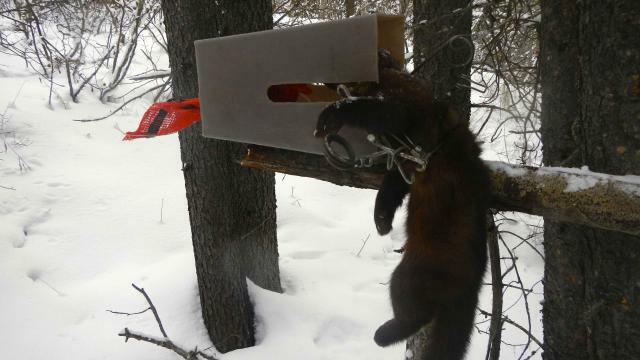 Some trappers regard martens as easy to catch but to me it's about trapping them in a efficient and sustainable manner. 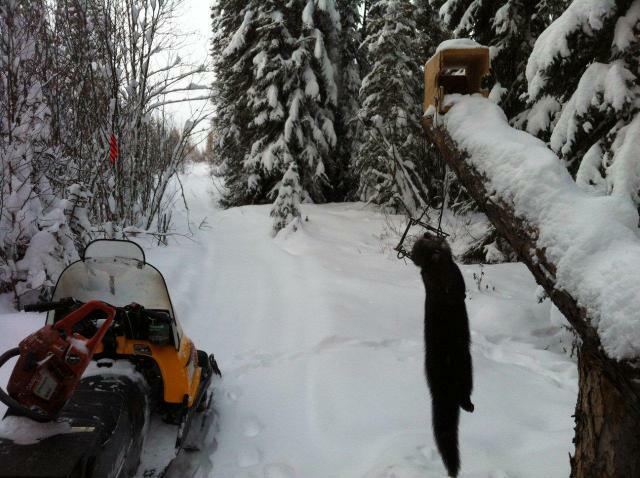 For example I've taken over 1000 marten off one of my traplines over the years and still harvest the same averages today. All while my line has been heavily industrialized. 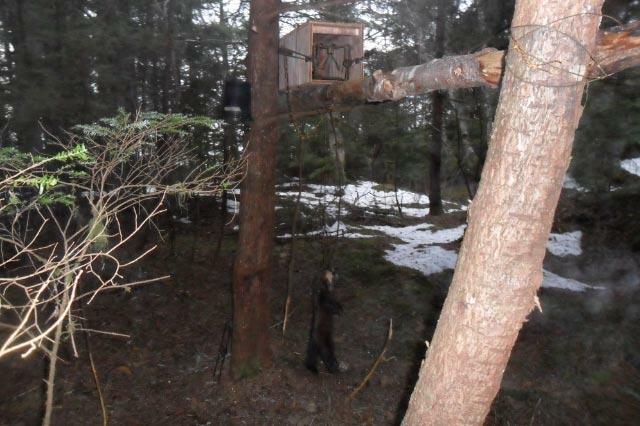 I have some management practices like supplemental feeding and quick trapline rotation that I think has helped. I'm going to post a series of different style sets I make and why. 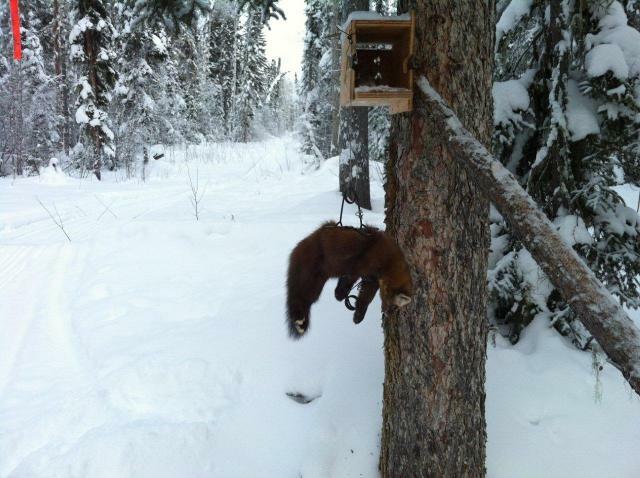 I'd encourage other marten trappers to do the same and lets keep it picture heavy. Also I'd like to stay on topic so the post can be of future value perhaps. Here's hoping for $200 Averages! This is a box I whipped together the other day. I discovered an area opened up that I hadn't anticipated and wasn't prepared for. I needed to make 2 dozen boxes in an hour or so. I also wanted to be able to easily pack them. I rough cut strips 7.5" wide by 16" long out of 3/8" plywood. I used three pieces for each box - two sides that I cut notches in - and a top. The bottom is a seperate piece of 3/4" plywood the same dimensions. I drilled holes in the corner of the three pieces and loosely joined the sides with the top, and then folded them flat. I stacked the bottom piece on top and put a wrap of tape around to hold the package together. For the backs, because I was in a hurry, I cut heavy pieces of cardboard that I fastened in the field. At my set I nailed the base piece down using 2- 2" shingle nails. I had my cordless drill so I put two screws into each side, right into the base piece. I used 1" screws in case I need to use a hand screw driver. 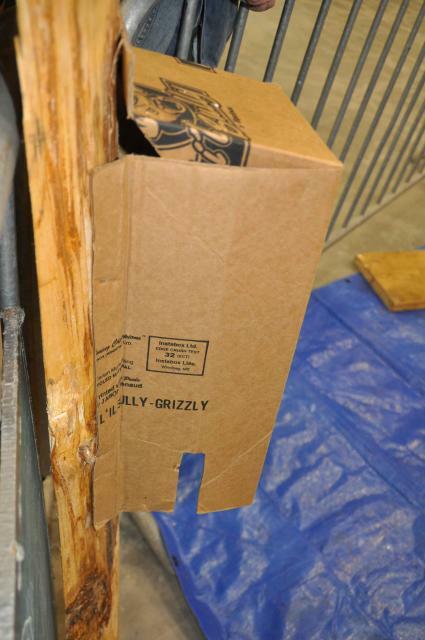 Once the base and sides were screwed tight I pulled the zip-ties tight and the box solidifed. I wrapped the cardboard around the back and used a couple more short screws to hold it in place. Since then I've made back pieces that are 8" x 8" with a 1.5" wood piece attached to one edge like a" L "shape. I just screw the 1.5" piece into the side of the box with one screw. It took me longer to type this then it did to build it in the field. Finished off with bait in an onion bag and marten lure on a cotton swab or dry stick. I don't make this style of set anymore. 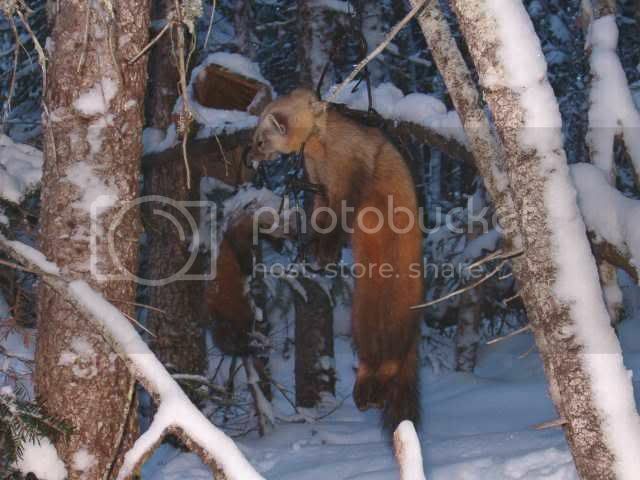 However I have harvested many marten back in the day like this. 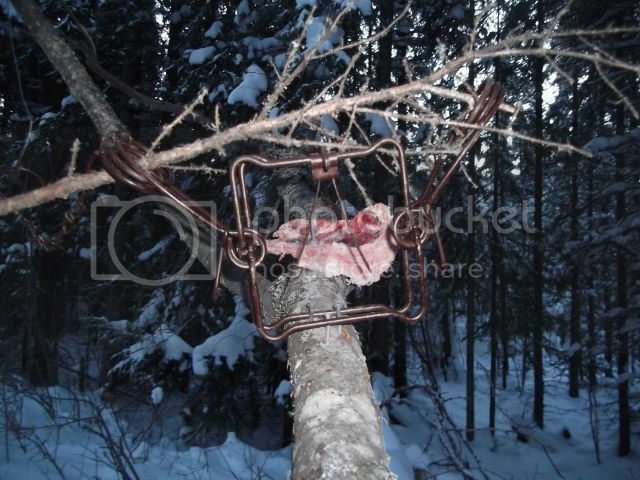 I also used to make small tin plates with 90 degree bent up lips to hold the bodygrip jaws. I've seen guys use large tin can lids nailed through the center of the can and then bend the edges up over the jaws. My making money set. I can set this one up quickly and move it in seconds. I use 16" pieces of lath. 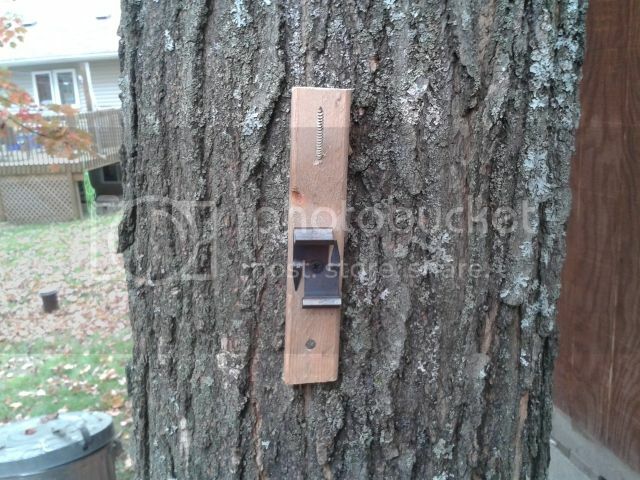 I nail one end of the lath on to my leaning pole or horizontal tree. 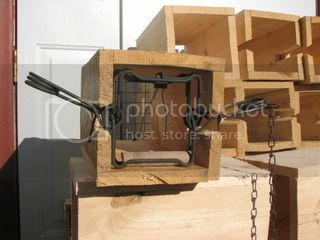 I slide the box under the un-nailed end of the lath and pull it until its tight. sometimes I have to place a small stick under the back of the box to lever it a bit highter to 'tighten' it up. The bait is in my bait onion bags, and I pull the tag end of the bait bag through one of the holes drilled in the back of the plastic box. 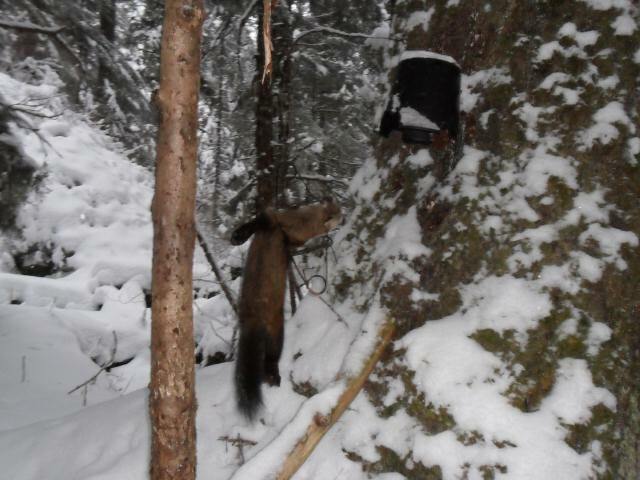 I believe the red colour of the bags is an attractant to marten. 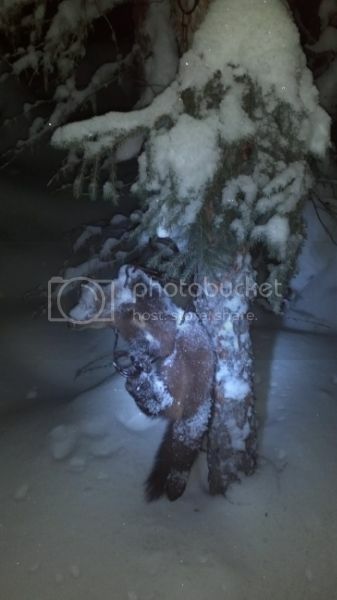 I've seen them feeding on frozen mountain ash berries in the winter which are bright red. When it's time to pull the set I just have to back it off the lath and move on. The following year i can slide back onto the existing lath. I have sets where I've used the lath strips for years. I make my sets almost similar to yours as well. 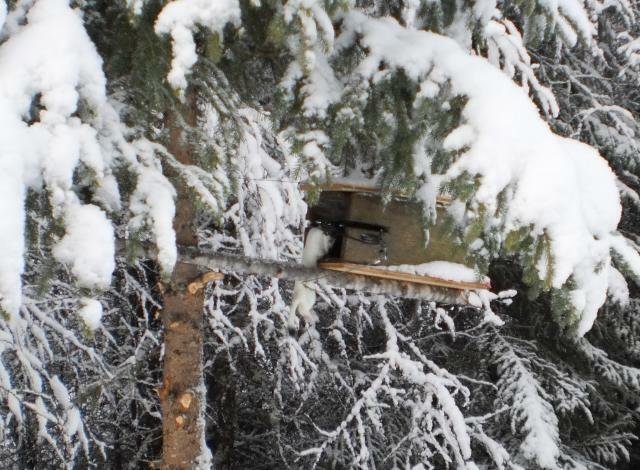 I have just learn about the spruce boughs on the tree to make a box and have taken about 5 marten with it last year and some with just a regular box on the ground. 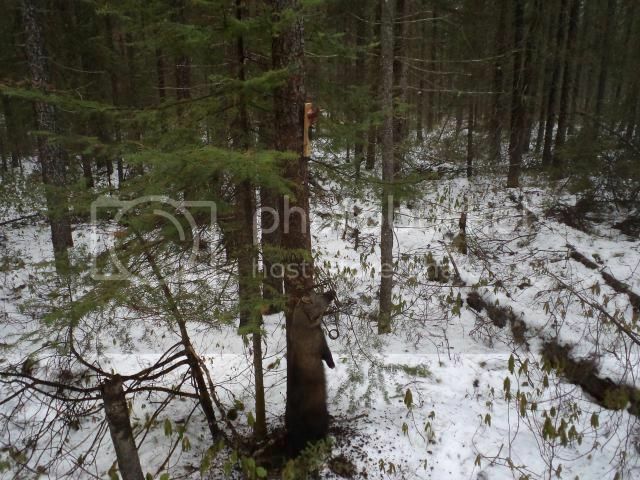 As well as a 120 nailed to a leaning pole with a bough over top of the trap. 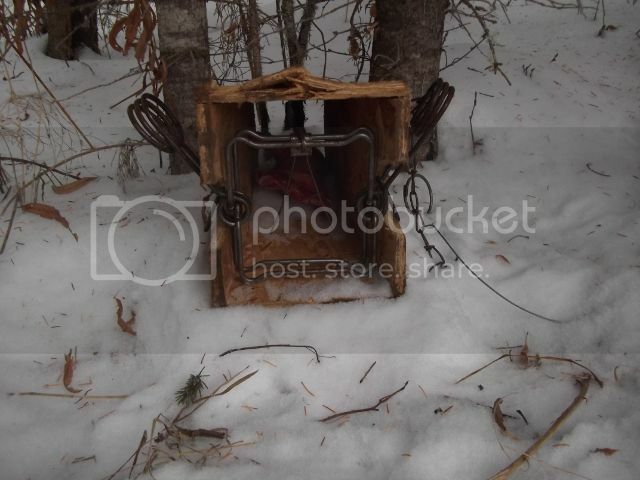 This is the box I use on my early lines.I am done trapping these lines by end of Nov,first week of Dec.so heavy snow is not an issue.The bait needs to be changed frequently when trapping early and is easy to do with this box set up. 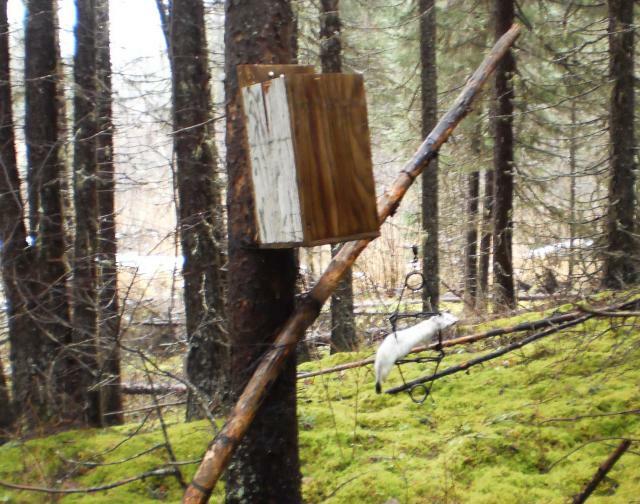 Extensive field tests were done here in late 80's and early 90's,and the vertical box opening up was a top marten producer.Downside was more incidentals and not always the best strike location,and not the best for mid winter. 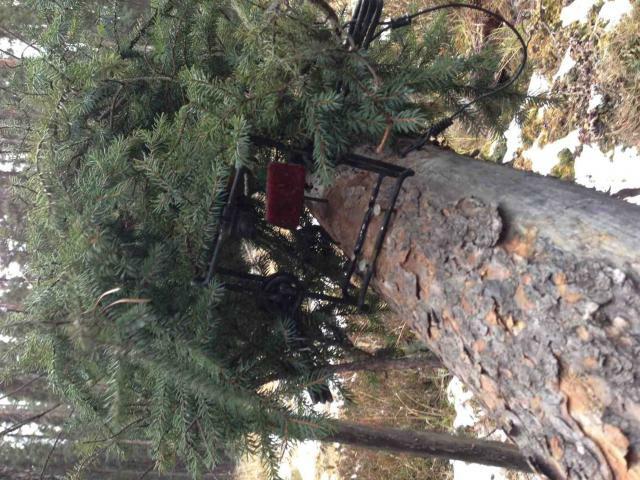 This is the box I use when I want some eye appeal in a more open setting-marten hunt by sight.The way I set this box up is two nails,to attach the box on a dry spruce runner,one nail in runner to tree and 11 ga wire from the stub over the top of the box and around the tree.The opening is about a foot to 18 in from the tree trunk,and the wire discourages the marten from climbing on top of the box and knocking the trap out.The stub allows whiskeyjacks to feed on the bait from the back and attract marten.The downside to this box is the bait is quickly consumed by rodents,and incidentals are higher.According to our field studies it is a good marten producer,and works well all season,and you get a good strike location. 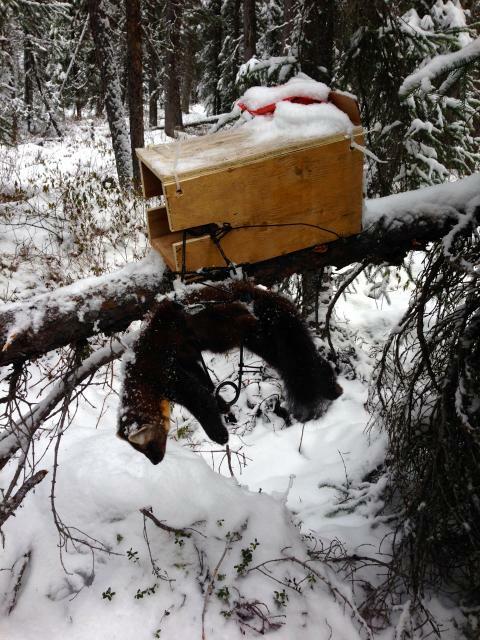 This box is the bomb when it comes to marten trapping.Bait lasts a long time in this box.It is weatherproof requiring no maintenance even in the heaviest snow.With the proper trigger configuration(L-shape towards tree trunk)you always get a double strike(no pelt dmg and very humane)With screen on top the whiskeyjacks can work the bait for attraction.Minimal incidental catch with the vertical box opening down.This is the go-to box for the winter lines.Notice the very narrow slots-this is what holds the trap in place.In field studies this was one of the top marten producers. Good thread! 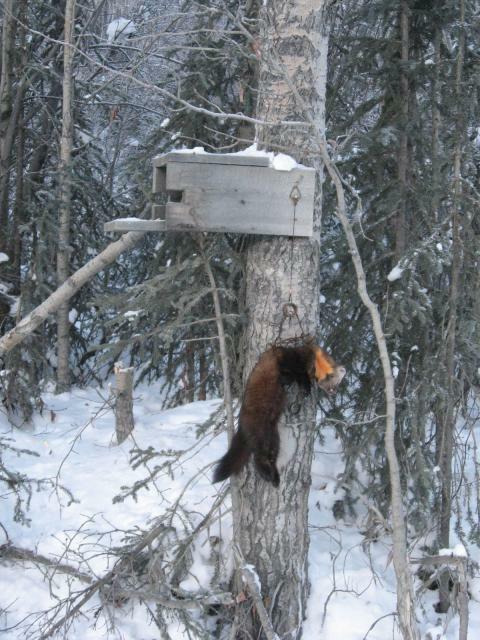 Judging by last years harvest I dont think Yukon marten are at historic highs. 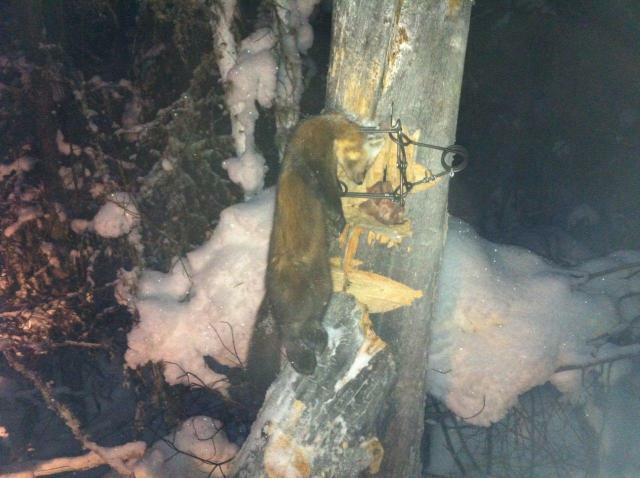 I have always been of the opinion that since marten are so easy to catch, sets should be simple and very quick. Brian I really like your folding boxes....never seen that before. Here is how I do it....my all time favorite and by far the fastest is the permanent Gibb box. 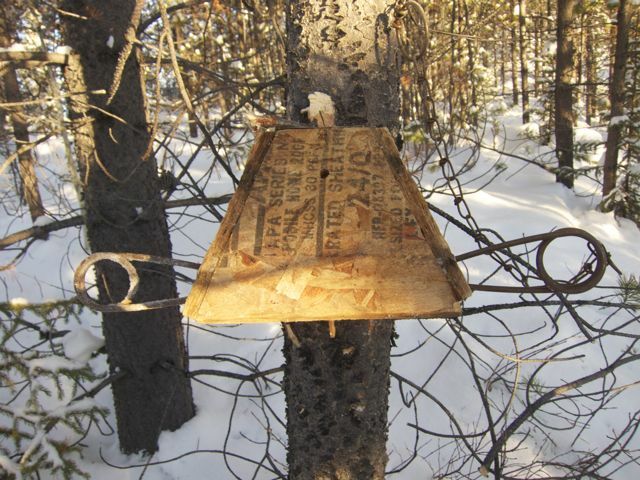 Got this idea from Jim Gibb a few years ago....now lots of trappers in Yukon are using it. For extremely rough trails where weight is an issue I use snares.....they are about as light as you can get and very effective. I notice you use conibear 120's for all your sets. would a 110 work as well or the main porpose is stability at the set site? This style of box uses corplast for sides and top with wood for a base. Again a light box that can be transported. 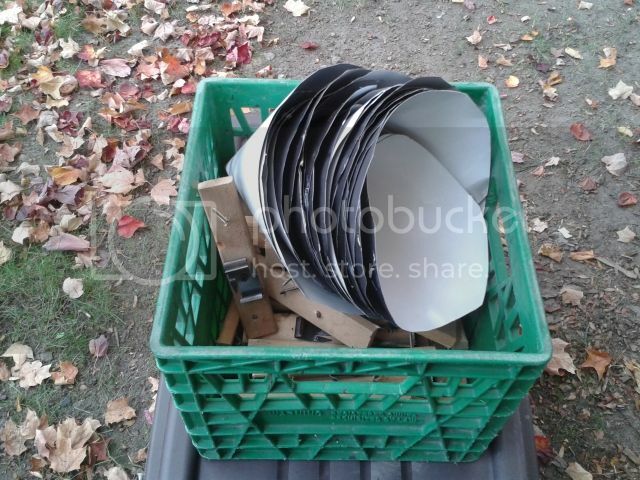 I have corplast boxes that have been hanging in the bush for a decade and still working. I use old real estate signs. 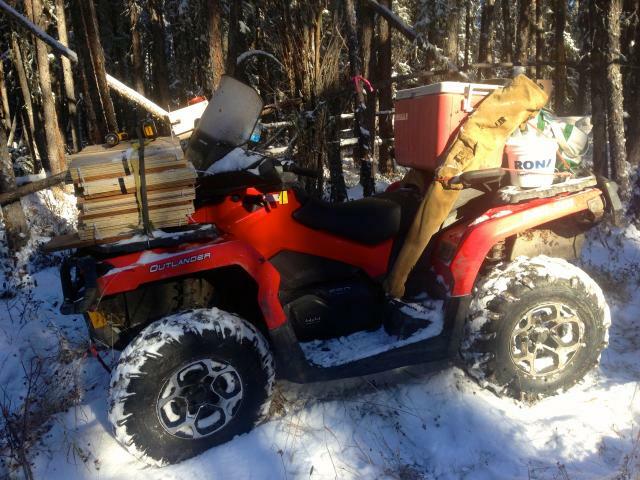 That's a poachers box bushman lol. Last edited by Fergustrap; 11/19/13 11:18 AM. I have/do use sets similar to most above, (Though no snares), but we can't leave out the flower pot set. 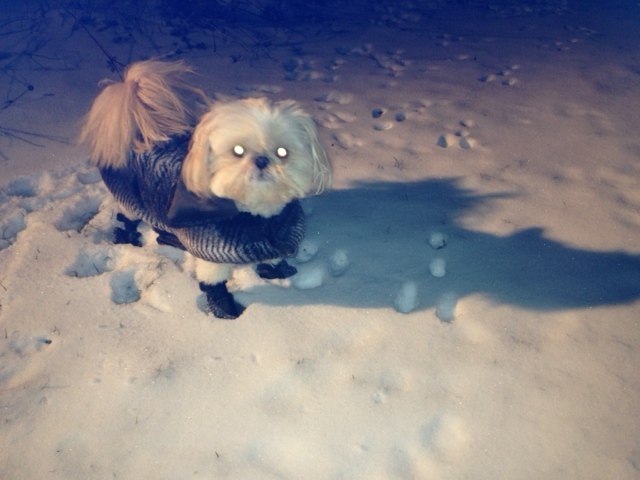 Very light, stackable, weather-proof, and fast. 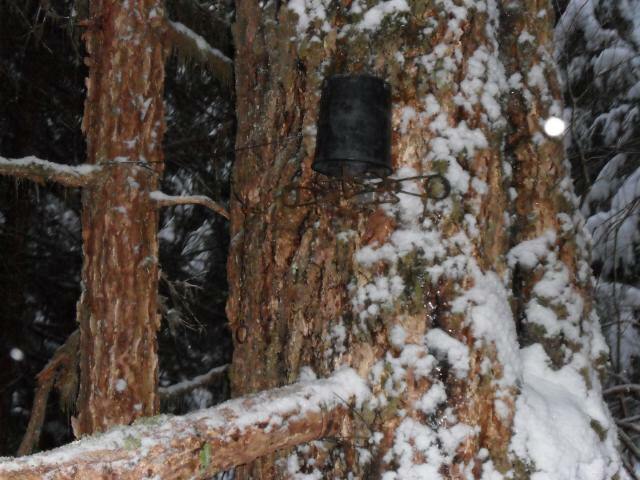 In fact, all you really need at the set, other than the pot and trap is a tree. Sometimes as simple as this, with a box on the pole and a pot next to it. Most times just a couple pots, for me. 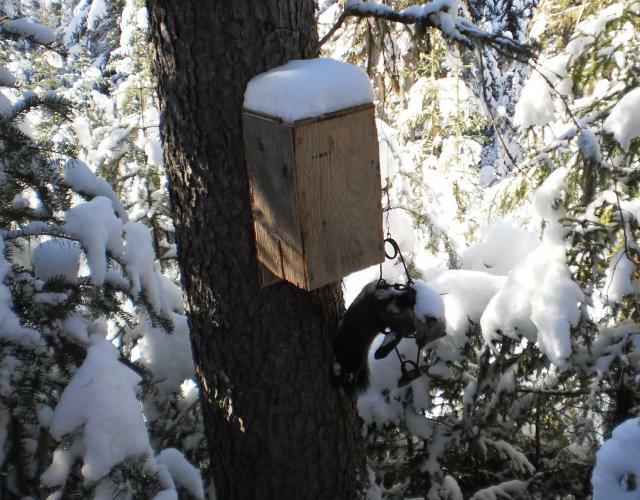 Use mostly boxes mounted horizontally on a log or tree, very easy to spot for the marten and can quickly check the trap as i go by on snow machine. 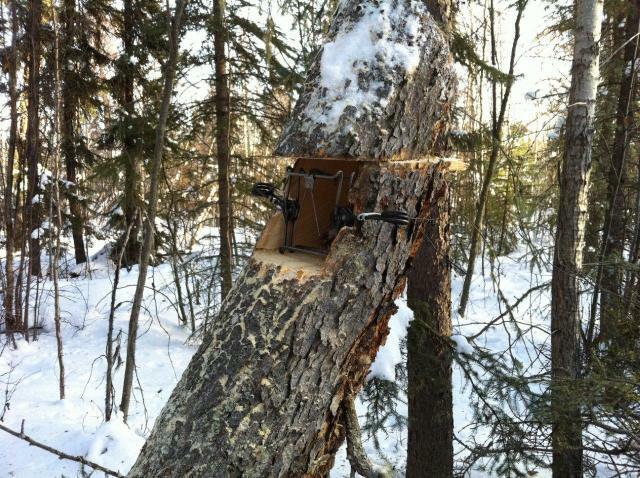 If i see tracks in a new area and don't have any boxes along, i cut out a tree and set the trap in there. Again making sure i can easily check the set as i go by not wasting any time. This is something I have been tinkering with. I basically copied the Donahue set with some small improvements. 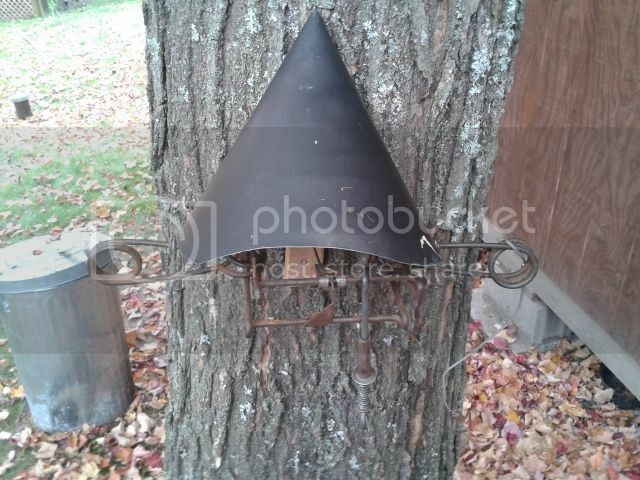 the cone is just some aluminum flashing, cut rectangular, riveted together then trimmed the square edges. 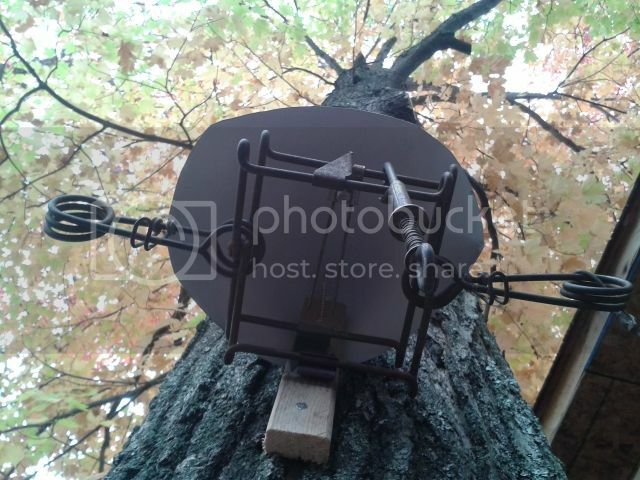 I have seen guys use nails or a piece of 1x2 to hold the trap. I used a Killer clip to hold the conibear. 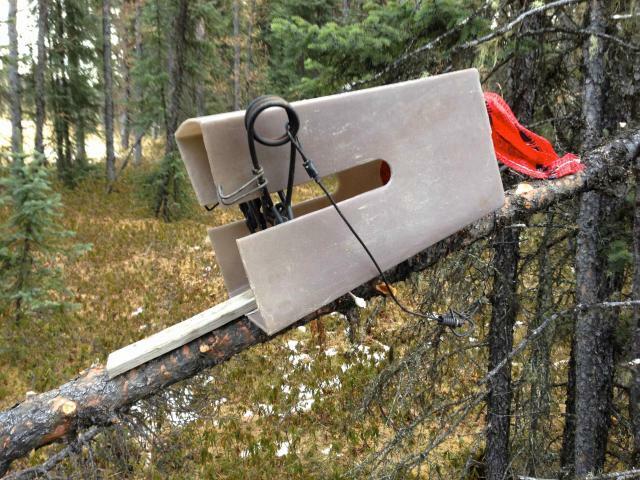 The main reason is that you can firmly stabilize the trap without increasing the pressure on the trigger. 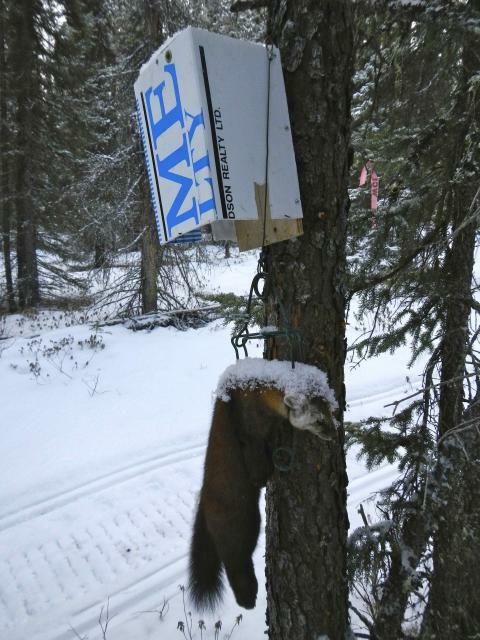 I have caught a few marten and fisher in them but I'm still testing. 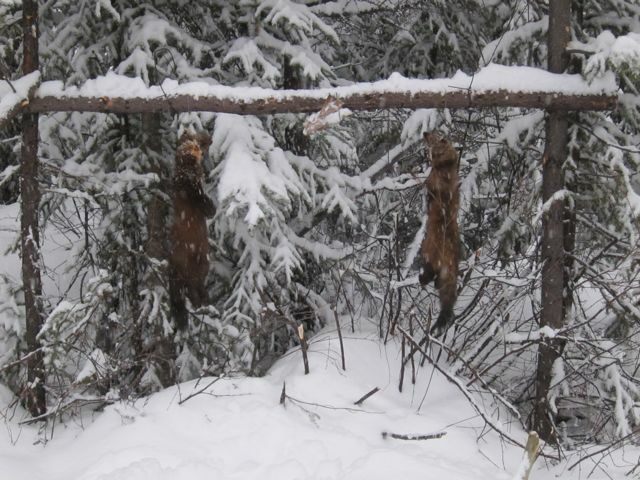 - small and compact, hard to see from the trail- no drive by checking these at any distance.